Omar Abdullah wrote a letter to Governor to express his party's displeasure over changes being mulled by the government to PRC (state residency) rules. 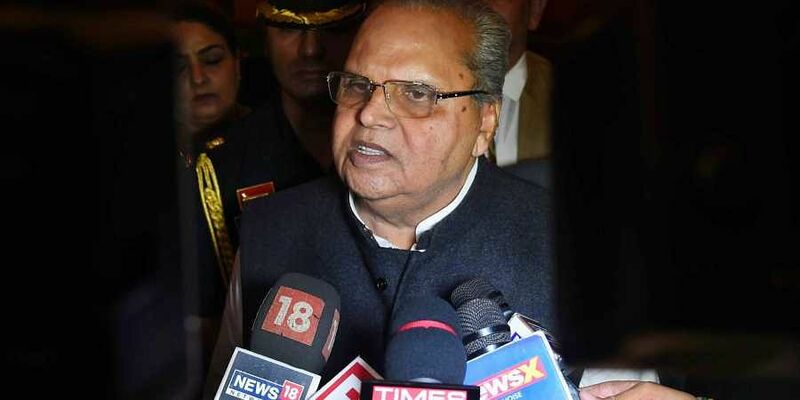 JAMMU: The Jammu and Kashmir’s four major political parties – National Conference (NC), Peoples Democratic Party (PDP), Congress and BJP ally People’s Conference – have opposed Governor Satyapal Malik’s move to bring any changes to Permanent Residential Certificates (PRCs) rules and warned that it is unacceptable and can have disastrous consequences. The NC vice-president and former chief minister Omar Abdullah wrote a letter to Governor to express his party’s displeasure over changes being mulled by the government to PRC (state residency) rules. “Our party is of the opinion that this is an attempt to distort the demography of the State and it is detrimental to J&K’s special status. It is a brazen act to further create mistrust among people and can have serious ramifications for prospects of peace and harmony in J&K,” read the letter. He also termed the move of Governor in the absence of a popular government in the State as “unethical”. According to sources, the administration is contemplating to simplify the procedure for grant of PRCs or state residency certificates. The State’s Revenue Department has written to Financial Commissioner, Revenue, Divisional Commissioners and Deputy Commissioners seeking their comments and suggestions at the earliest for simplifying the procedure for grant of state residency certificates. “You are requested to furnish the suggestions taking into consideration the procedure already defined under the relevant rules viz-a-viz the checklist issued under Jammu and Kashmir Public Services Guarantee Act, 2009 enabling the department to proceed further in the matter,” read a communiqué of Revenue Department. According to experts, any tinkering with PRC law would automatically weaken Article 35A, which empowers J&K Assembly to define ‘permanent residents’ of the State. Former minister and PDP general secretary Abdul Haq Khan said the Governor’s rule is a transitory arrangement and the Governor should avoid disrupting the existing laws and procedures in the State. BJP ally and Peoples Conference chairman Sajjad Gani Lone opposed any changes in PRC rules. “The Governor’s administration needs to restrict itself to basic governance. No structural changes pertaining to PRC or J&K Bank are acceptable. Restrict your energies to what u r mandated to do-which incidentally u r not doing. Please don’t invent new problems,” he tweeted.